Scientific studies of animals being transported – such as horses (McGreevy 2004) – in confinement or in captivity for other industries such as zoos and laboratories, can be read across to travelling circus environments. The report demonstrates the restriction of movement suffered by domestic animals such as horses, tethered inside stable tents for long periods of time. The big cats – lions and tigers – suffer equally. 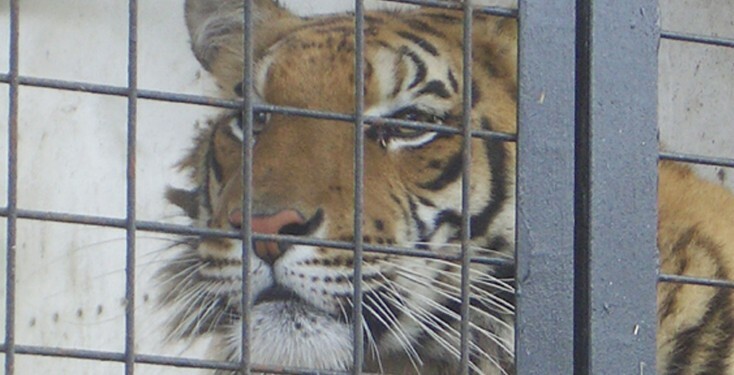 In transporter cages that measure approximately 2.5 m by 12 m, there can be as many as 5 tigers or 3 lions (ADI observations on 26, 27 & 29 March, 2006. Great British Circus: 9 tigers & 5 lions). When exercise enclosures are erected, they are not always used, or there are too many animals for the amount of space available.